We keep stumbling upon incredible female talents here. 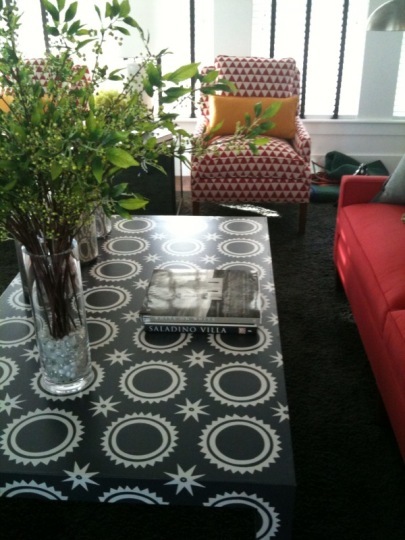 We recently had the opportunity to cross paths with designer and artist, Audrey Sterk. 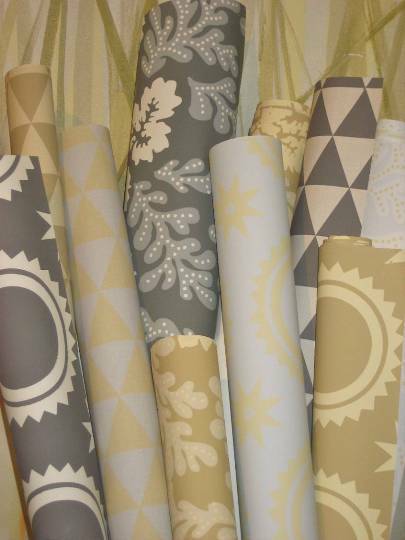 A design crush was instantly formed. 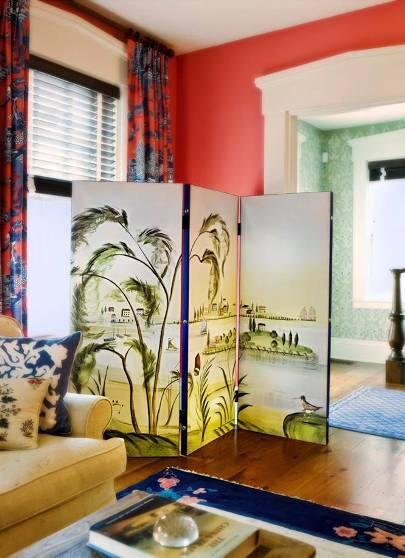 We first fell in love with her decorative tri-fold screens, shown below. After years spent designing innovative murals and wall coverings, Audrey recently launched a Home Collection that is to die for. 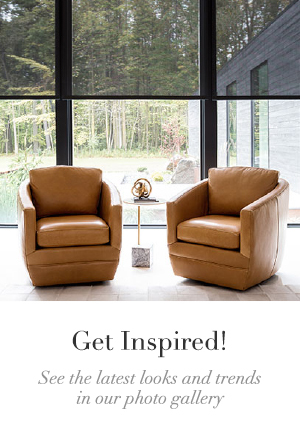 She now crafts her classic style with beautiful innovative custom made furnishings. You name it, from coffee and end tables, to wall coverings and wall art—her pieces delight the eyes and fill our interior design hearts. The new collection is a bespoke dream come true. And you know how much The Shade Store team loves custom! 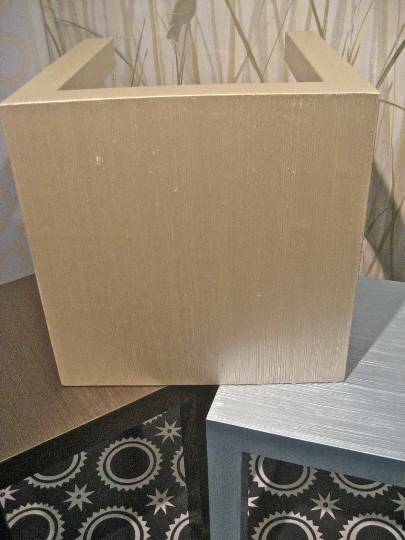 Audrey creates a unique array of both canvas finishes and hand-painted decorative finishes. 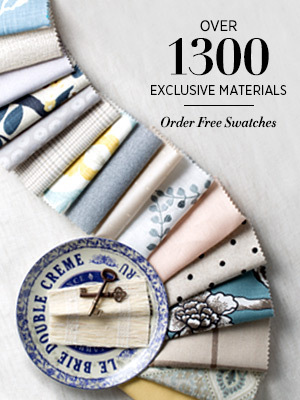 Her canvas finishes have been imprinted with elements from her own original artwork. 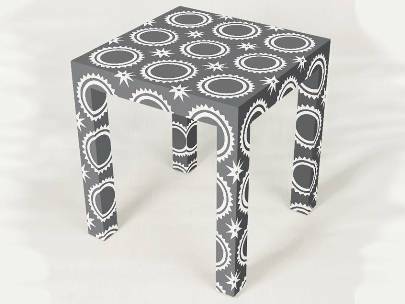 The hand-painted decorative finishes are applied directly to the tables, in colors and patterns designed to work separately or together. 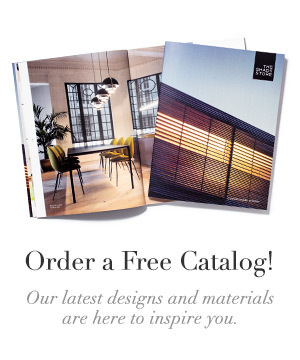 She uses only water-based finishes for all of her designs, and the tables were even chosen for inclusion in the HGTV Green Home Giveaway last year. 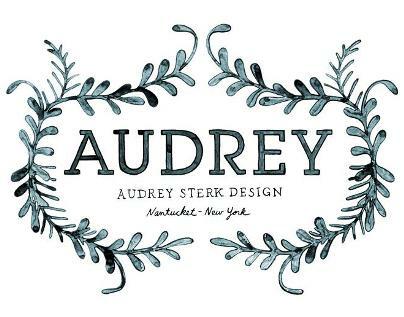 You can become a fan of Audrey Sterk Design on Facebook. We highly recommend getting to know her work.